Global Herbs Himalayan Salt Lick is a top source for minerals, which are important for general horse health. Produced from 100% pure Himalayan Salt, this is a natural way to supplement your horses diet. 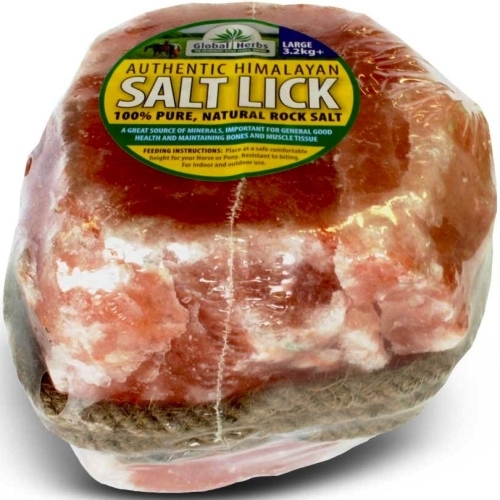 This Global Herbs Himalayan Salt lick comes with a free handing rope, enabling you to hang it up in your horses stable or outside in the field.